Please join us at the IDEAL campus near Sindhubhavan Road for a beautiful cause. 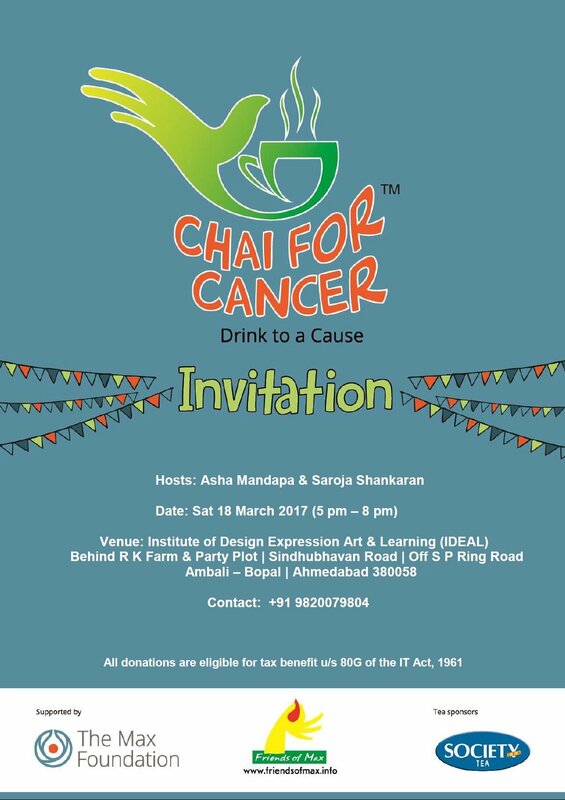 IDEAL is proud to be associated with the Max Foundation, for the ‘Chai for Cancer Adda’ on Saturday, 18th March, 2017 from 5pm onwards. This is a noble cause to help create awareness on Cancer and also to work towards raising funds for those who can’t afford the right medication, counselling and assistance.